There are very few bottles of Domaine Marey Monge in the market. They would also have to be earlier than 1972 (and some might show DRC labels). Domaine Marey Monge was once an estate in its own right. In 1966 it was taken 'en fermage' by DRC. At the proprietor’s request, DRC kept on using their own traditional label (with the coat of arms and golden medals). It continue to be produced under its own name and label until the 1972 vintage inclusive. In 1973 the Marey Monge heirs agreed that their label be abandoned and replaced by DRC's own classic Domaine label The label was changed to a DRC label with 'Marey Monge' as an indicator -- what makes things complicated is that when they needed new labels for the 1972 vintage (or former vintages) they used Domaine de la Romanée-Conti labels. It is consequently normal to find on the market bottles either under Domaine Marey Monge or Domaine de la Romanée-Conti labels. Eventually, the estate was purchased by DRC in (September) 1988. 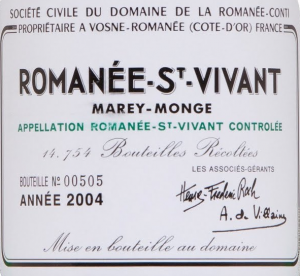 The label continued as DRC Romanee-St-Vivant 'Marey Monge' but during 1989-1992 the designator 'Marey Monge' was dropped. 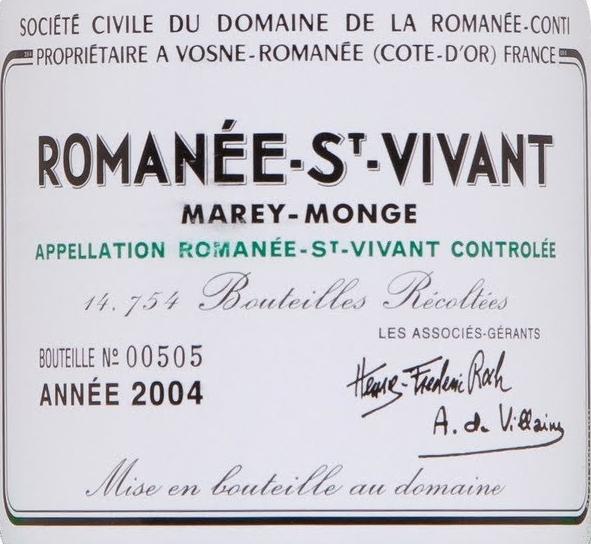 From 1993 onwards the name 'Marey Monge' was again included on the labels of DRC Romanee-St-Vivant where it has remained since.